The list recognises Britain’s top 100 fastest growing companies that are making a positive social or environmental impact on their industry or wider society. The winners have been selected based on data from the ‘FT 1000: Europe’s Fastest Growing Companies’ 2018 list - as a new entry we’re very proud to be named at no 181 in this highly honoured list. 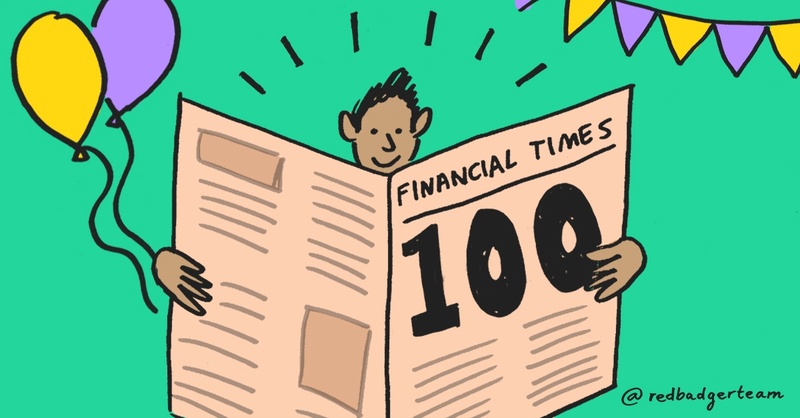 In order to be selected for the very first edition of FT Future 100, companies have had to set themselves apart in one of the four categories (ESG, diversity, disruption and companies that made it into Europe-wide FT 1000 ranking two years in a row.) The judging panel was represented by corporate and research experts who especially valued companies that went the extra mile to outperform the industry minimum standards and set an example to foster a more diverse management style. We can’t wait to hold the printed version of the list in our hands. In the meantime if you’d like to see how the other selected companies are performing in comparison, you can take a look at the full list here.